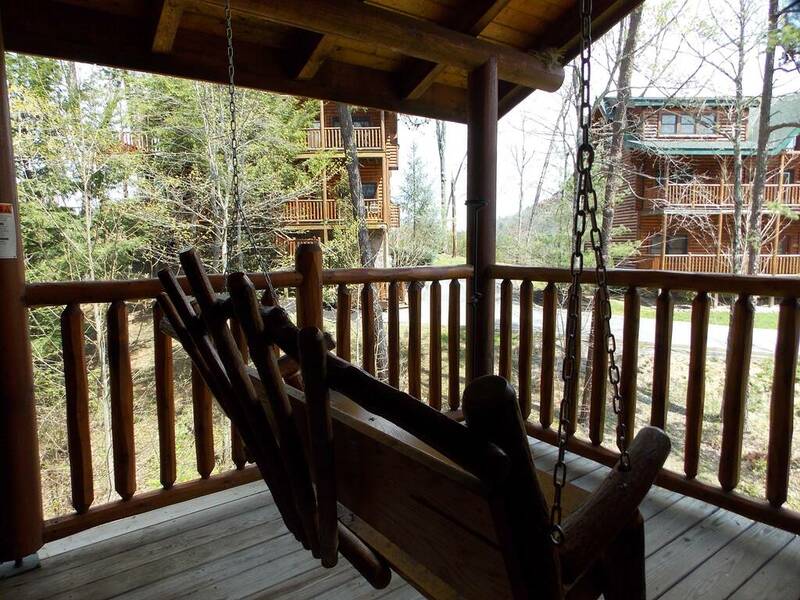 Paradise Pointe is the perfect cabin for a small family or two couples ready to experience the beauty of the Great Smoky Mountains! 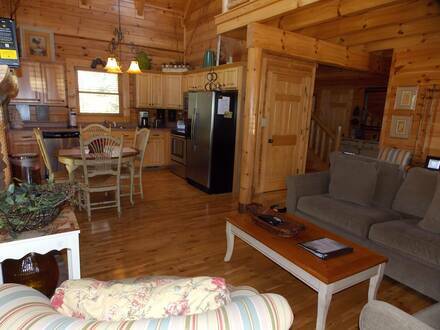 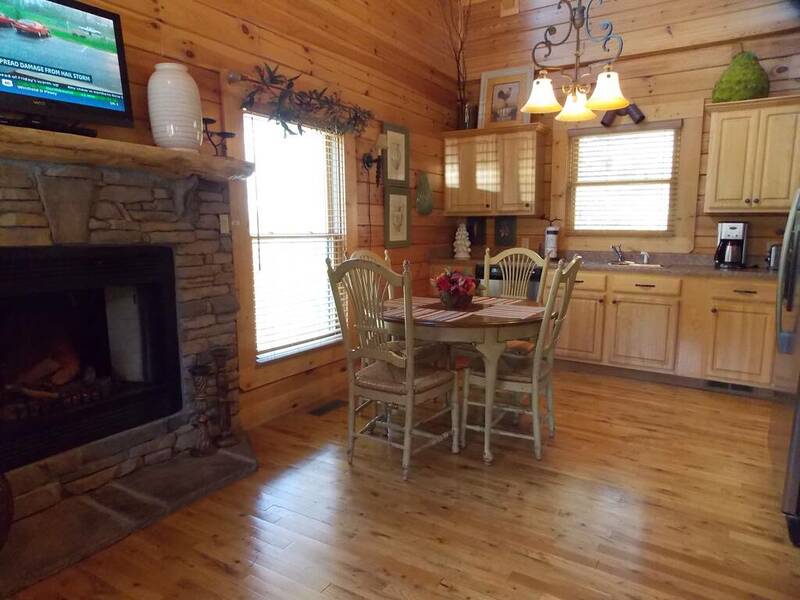 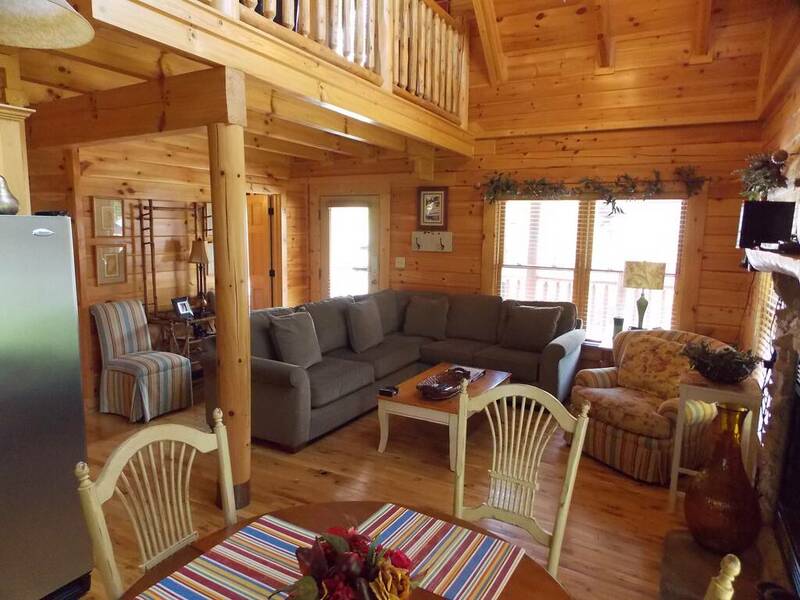 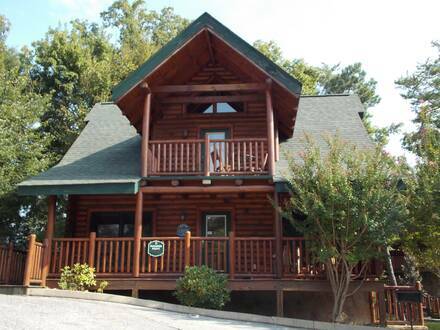 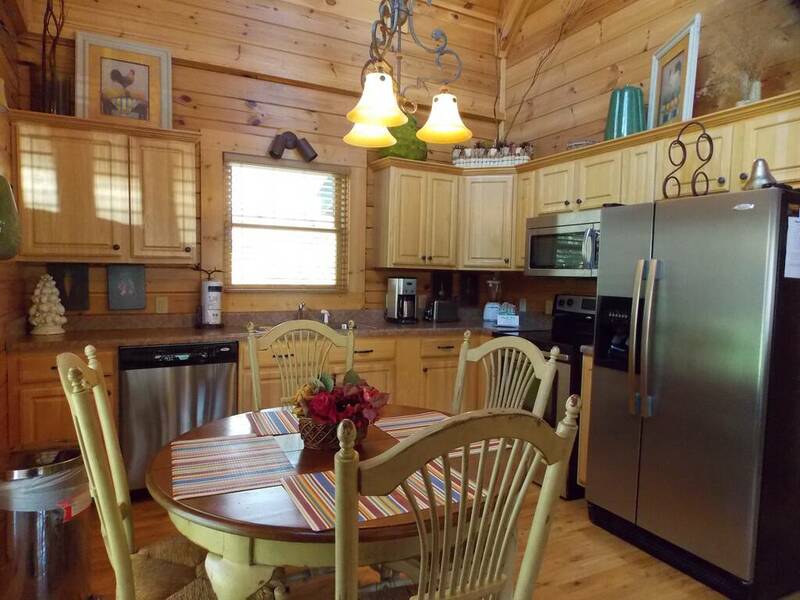 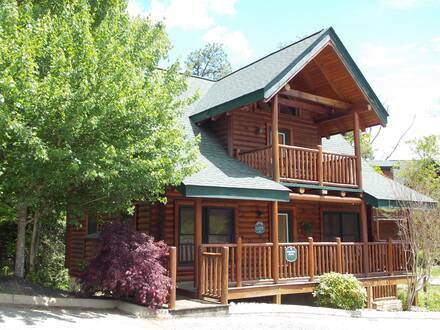 This cabin is conveniently located minutes from downtown Pigeon Forge! 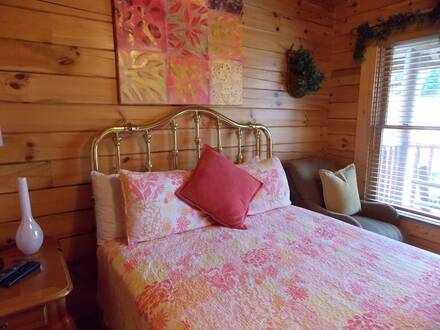 Enjoy the comfort and coziness of Paradise Pointe! 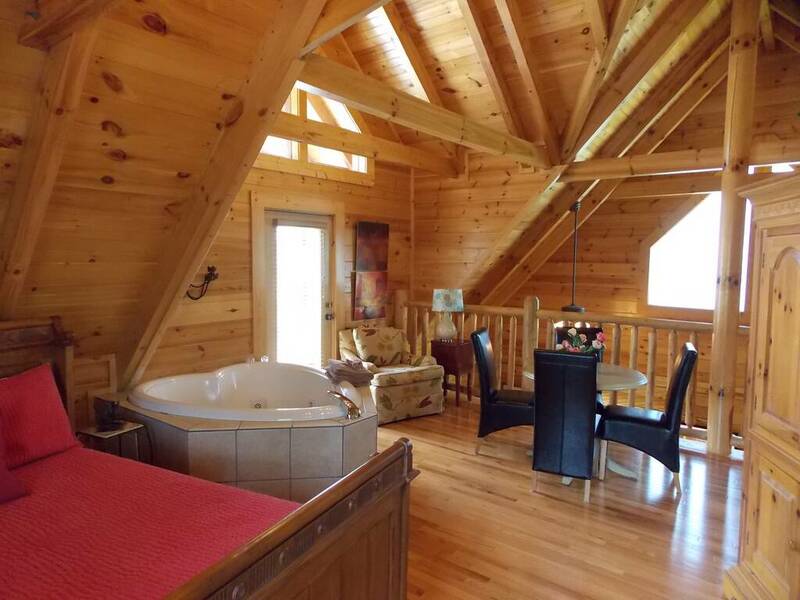 This cabin boasts elegant decor along with an indoor heart-shaped jacuzzi tub to enjoy after a long day of hiking or shopping! Paradise Pointe is a two-level cabin featuring two bedrooms with queen size beds and two private baths, a fully-equipped kitchen and a cozy fireplace in the living room area! 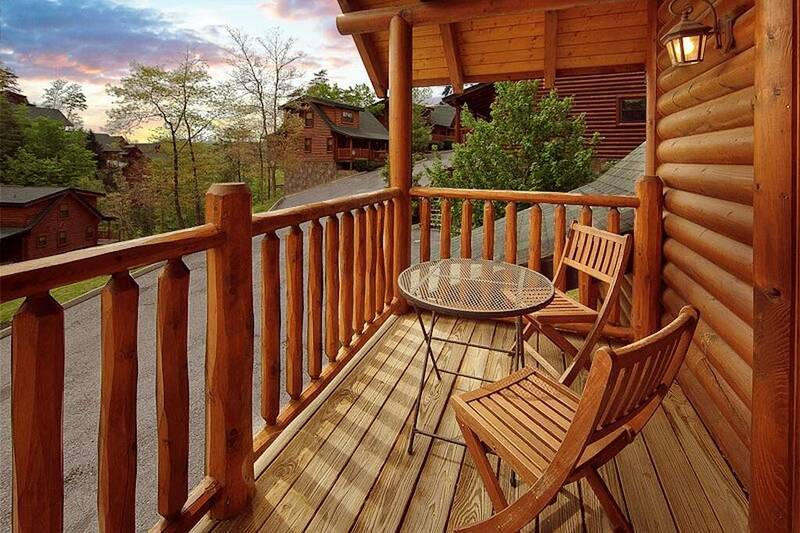 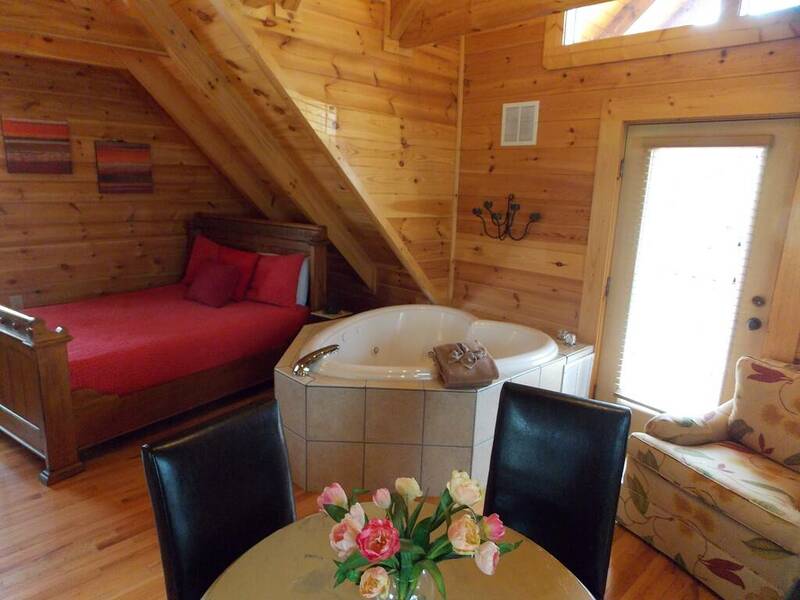 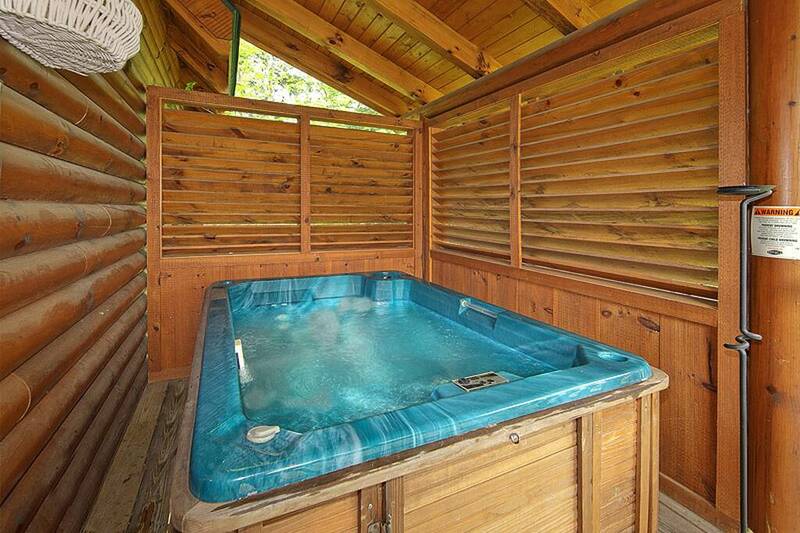 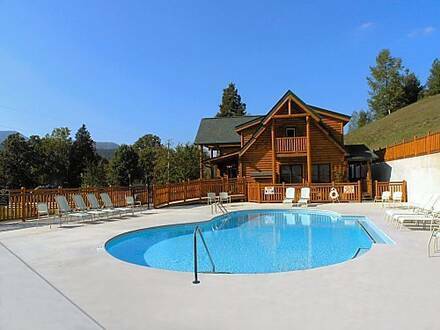 Soak in the mountainous surroundings while relaxing in the hot tub or enjoying the view from the front porch! Your stay also includes a free pancake breakfast for each guest! NO TRAVEL TRAILERS ARE ALLOWED IN THIS COMMUNITY!